Trapshooting has a long history in the State of Wisconsin. Meeting minutes dating back to the 1920’s discussed desire for the Wisconsin Trapshooting Association (WTA) to have a “Homegrounds” - or a central hub. In 2010, the WTA Board of Directors earnestly began searching for a location. The three options contemplated: an existing club in Rhinelander, the Waukesha location which had hosted for many years, or flat timber land in Rome. The Directors overwhelming selected Rome, WI to be the official home of the Wisconsin Trapshooting Association. On July 16, 2013, folks from around the country arrived for the first State Shoot at the new Complex. Without grass planted, clouds of dust enveloped shooters; however, this didn’t stop the competition. The Town of Rome Fire Department came out with their truck and ran the line shooting water all over the fields in an attempt to settle the dirt. For the next five years, constant additions and the high-class facility brought people from around the country to enjoy the cetnrally-located Shooting Complex. 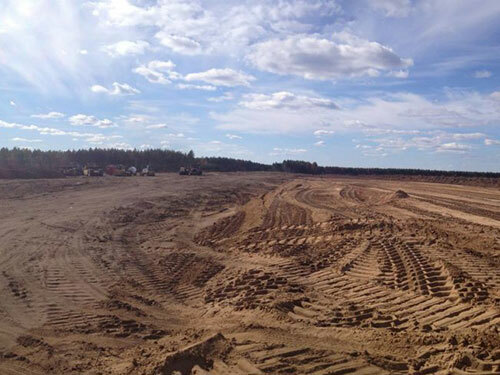 With improvements like planting grass and creating an elaborate paved system for ATVs / UTVs, the WTA's facility has proven that it is here to stay and succeed. The Shooting Complex is one of a kind in the region. It holds 30 different trap fields for guests to utilize. Funded by the DNR and NRA, an Olympic-style bunker was constructed and installed in 2013. Shooting 65 mph targets at a variety of elevations, this international-style trap is one of a kind in the area - the closest currently constructed located in St. Louis, Missouri. In addition to the Olympic bunker, a significant success was the recent completion of the Complex Building. 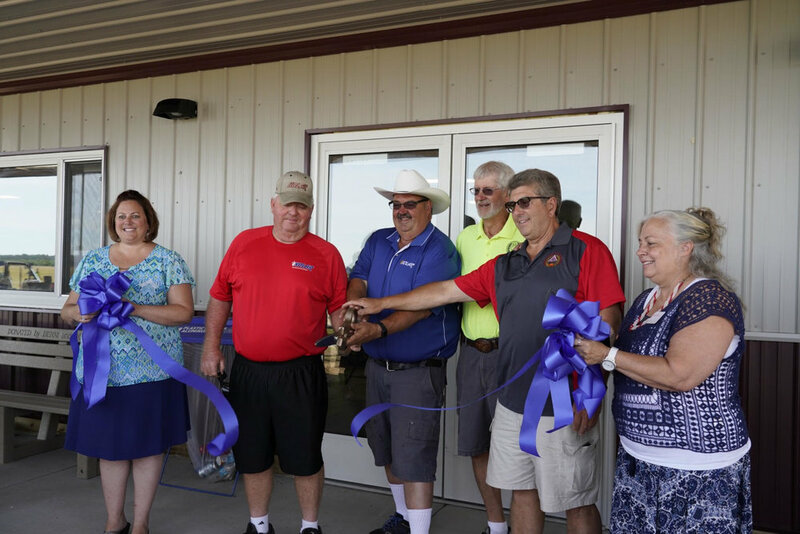 The dedication for the building was celebrated this year with a ribbon cutting ceremony to begin the July 2018 State Shoot. The majority of the project’s funding came from Friends of the WTA, who raised almost $200,000 in two years. Members of the Association donated their time and materials to make this dream for the Complex a reality. In addition to the Annual State Shoot Event, the Trapshooting Association also hosts an Olympic Junior Qualifier and SCTP (Scholastic Clay Target Program) Championships. Youth volunteer throughout the year at the Complex and play a big part in their role at the Annual State Shoot thanks to organizer Brian Giese, President of the Nekoosa School Board. Events provide unique opportunities for youth shooters to “win a vest” and earn a spot on the National Team. 20-year-old Madelynn Bernau of Waterford, WI qualified for the National USA Shooting Team following her performance at the Wisconsin SCTP International Trap Championships held at the Rome WTA Complex. In May 2018, Madelynn won a gold medal at Women’s Trap at the 14th International Junior Grade Prix in Porpetto, Italy. The Wisconsin Trapshooting Association's Complex is truly a gem of Rome. The amazing facility offers youth as well as seasoned trapshooters a high quality, unforgettable experience unlike any other in the state. To learn more about the WTA Complex, the hours of operation, or for information about the adjacent Homegrounds RV Park, visit the Wisconsin Trapshooting Association website or contact Amy Jenkins (608-547-5453 / asjenks13@gmail.com) for information about the facility.